Is the high crypto exchange fee eating into your profits? You love to trade crypto. You’ve done your research, thought out your trading strategy and made the decision to dive in and your trade goes superbly. Now you’re ready to withdraw your profits — but wait! After you’ve deducted deposit fees, withdrawal fees, hidden exchange fees, what you’re left with is a lot less than you were expecting. Unfortunately, there is a cost involved in all types of trading. From commissions to hidden charges, and when it comes to crypto trading, you also have exchange fees to deal with. The problem is that for now, crypto exchange fees, on most exchanges, are on the higher side. For example, competitor A charges a 4% fee if you want to deposit money into your account through your credit card. On the other hand, you’ll need to pay competitor B 0.3% as “taker fees” to place a market order. But does it have to be so expensive? We think not! Let’s take a look at some of these fees and see if there is a better way. There are basically two types of fees that you will need to deal with. Every crypto exchange needs to make money to remain viable and it does so by charging a fee for every trade that you make on their platform. Unfortunately, that is not the only fee they charge. Many exchanges charge a fee on deposits and withdrawals too. In fact, Bitcoinist reported that for Q1 2018, competitor C made almost the same amount of profit as NASDAQ, with a mere 4% of the staff. As part of the exchange fees, you will come across terms like ‘maker’ and ‘taker fee’. In practice, the taker places an order that is immediately filled, while a maker places an order that doesn’t fill immediately, for instance through a limit order. The fee for each of the two participants usually varies. For instance, competitor D charges 0%-0.16% for a maker fee and 0.10–0.26% for a taker fee, while competitor E charges a maker fee of 0%-0.1% and taker fee of -0.2%-0.55% as of December 2018. This fee is usually charged by decentralized exchanges. Rather than setting an arbitrary fee, they use the market rate to verify transaction on their blockchain. The fee is then paid to the validator nodes or miners within the network. This fee is also referred to as “gas,” just like a vehicle needs fuel to keep moving. The bottom line is that the more you trade, the more you end up paying in fees. And, when you assess the fee, ensure you are taking the all charges into account. Is the exchange charging a low trading fee only to levy high withdrawal charges? So, is there a solution? trade.io is a crypto exchange with a difference because it was created to overcome the existing challenges and barriers to trading. So, as well as ensuring lightning fast execution, the platform doesn’t charge exorbitant fees that end up diminishing your trading profits. And, the advantages don’t end there. The platform offers a fully customizable interface to make the entire trading experience a convenient and satisfying one for traders. Plus, you can trade multiple asset classes on a single platform. At present, the exchange lists all of the popular cryptocurrencies, including BTC, ETH, LTC and, of course, our native token, TIOx. We are continually adding new cryptos and plans to add forex, CFDs and even global equities on our platform in the near future. We take great pride in ensuring prompt and relevant support, with a stringent policy of every enquiry receiving a response from a customer service representative in “24 hours or less.” Our support team is available 24/7 via live chat, email and Telegram. In the beginning of April 2019, our CEO, Bill Heyn, announced ground-breaking capabilities; the exchange will be ready to allow deposits in fiat currencies via wire transfer, credit/debit card, or local bank transfers in China, Vietnam, Indonesia, Thailand and South Korea. Moreover, there will not be any deposit fees for users locking in 2,500 TIOx or more in the pool. Only deposits will be “free” as clients will be charged a withdrawal fee. The Payment Service Provider (PSP) fee will be paid by trade.io, although the trader will need to bear the conversion fee for currencies other than USD, GBP and EUR. 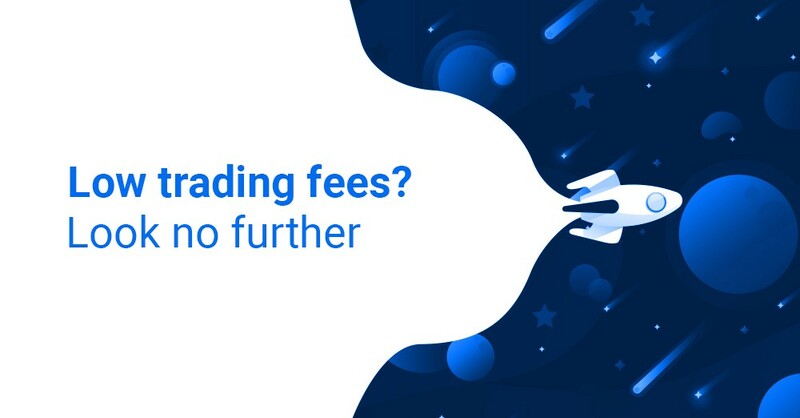 With the aim of making crypto trading easily accessible for everyone, we have ensured that all fees are kept at a minimum and lowering entry-barriers for traders of all levels of experience.